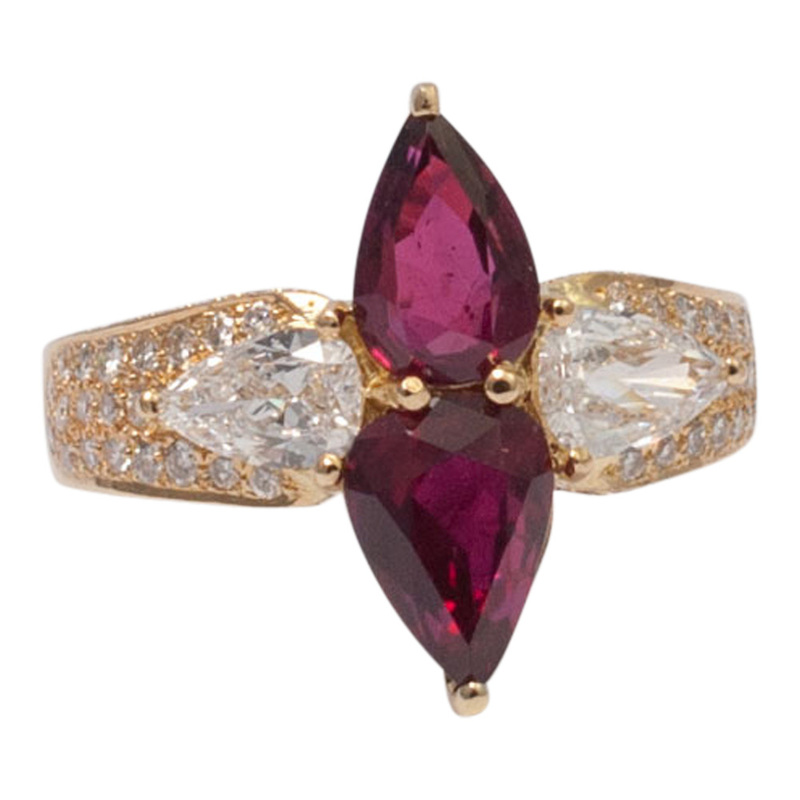 Invisibly set ruby and diamond bombé ring with a central row of channel set, brilliant cut diamonds weighing 0.35ct and six rows of rubies. 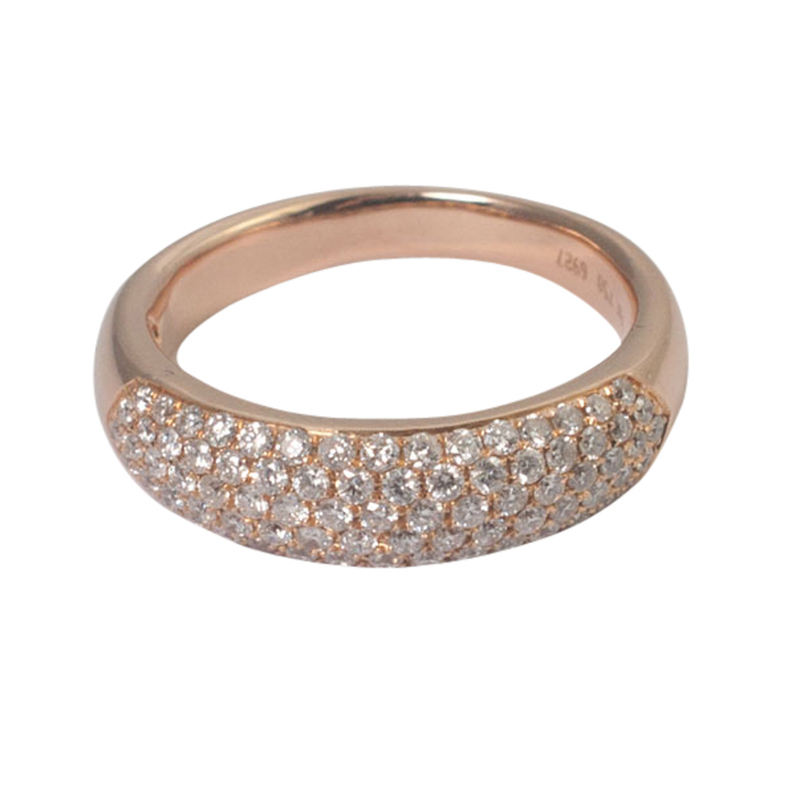 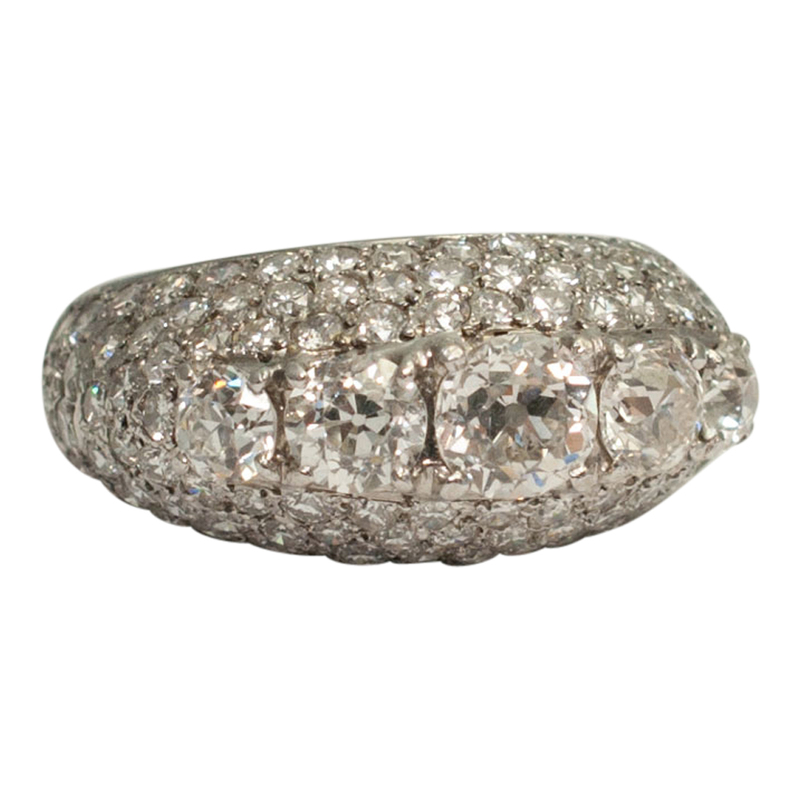 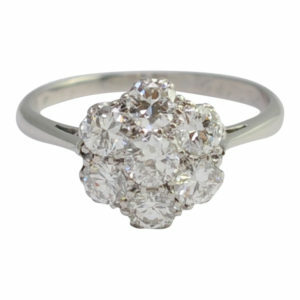 The ring weighs 14.3gms and is stamped 18k. 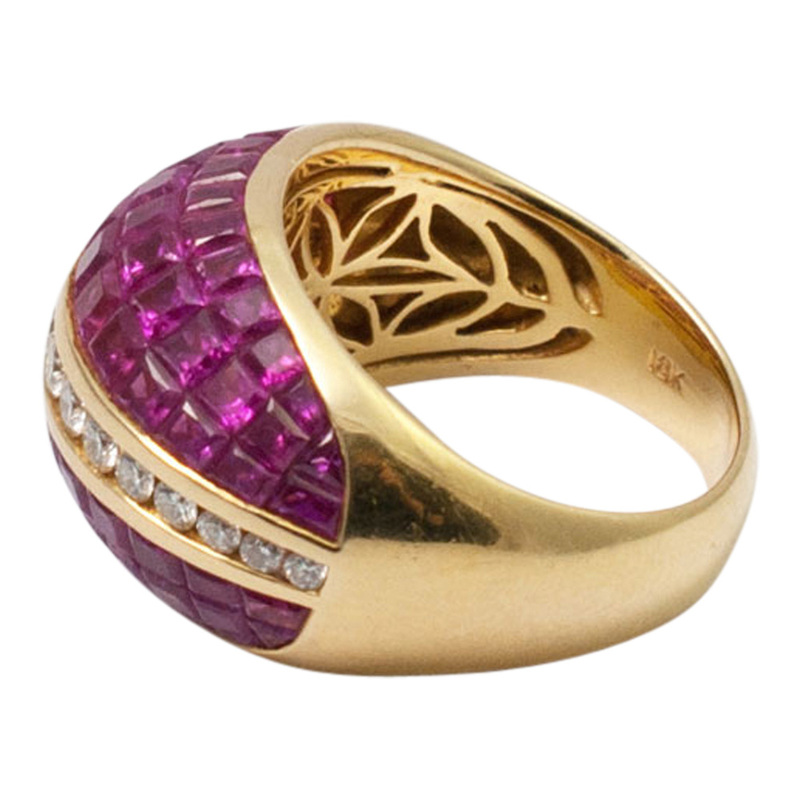 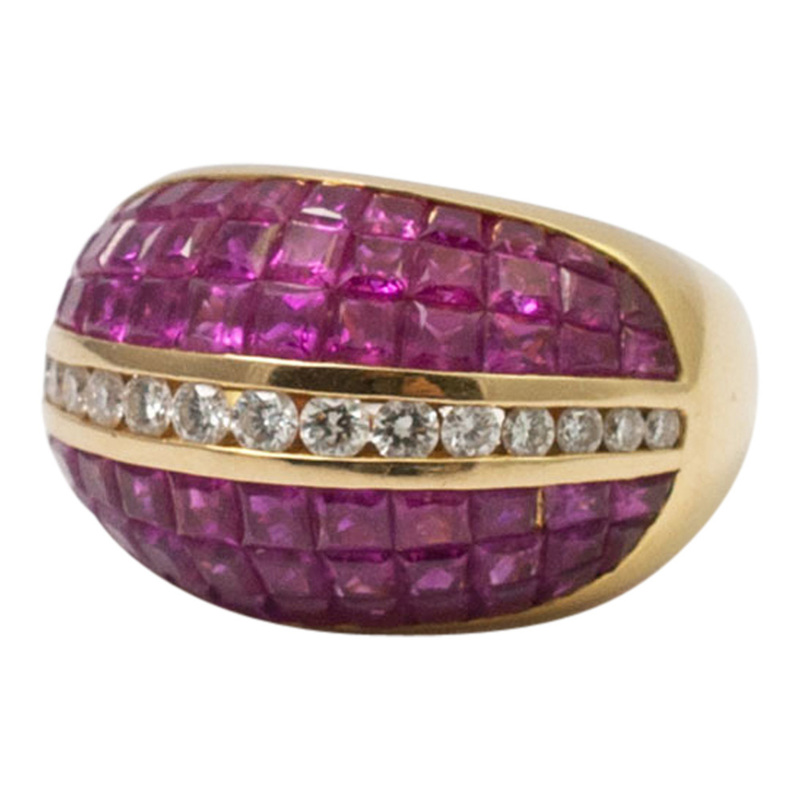 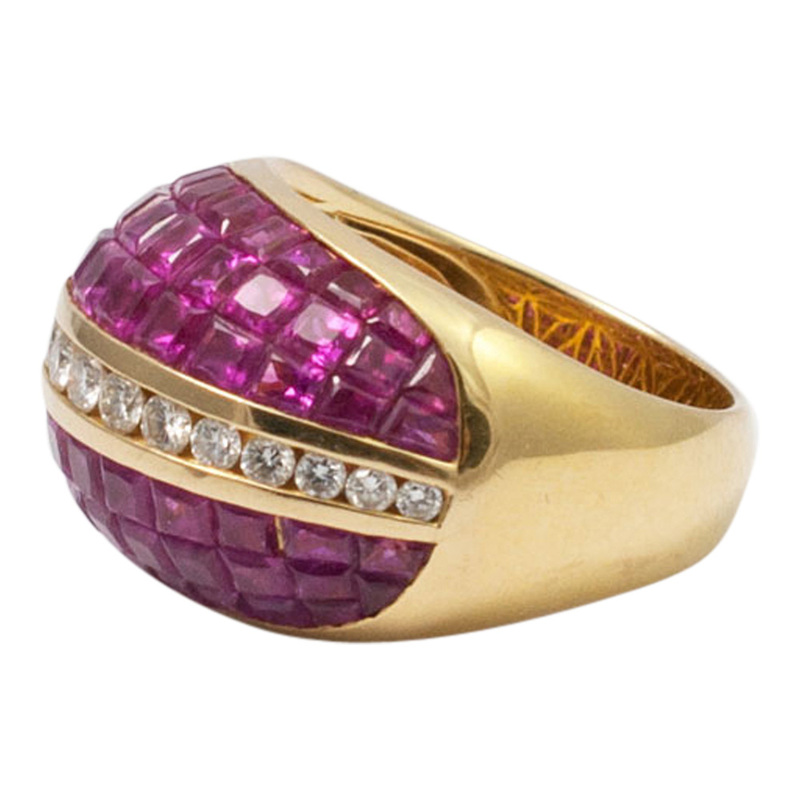 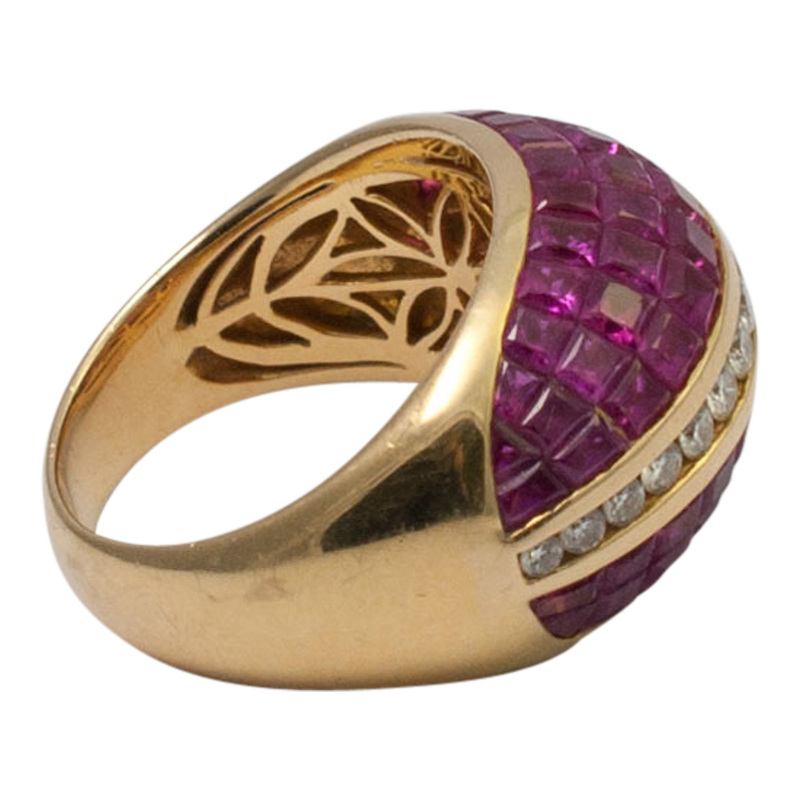 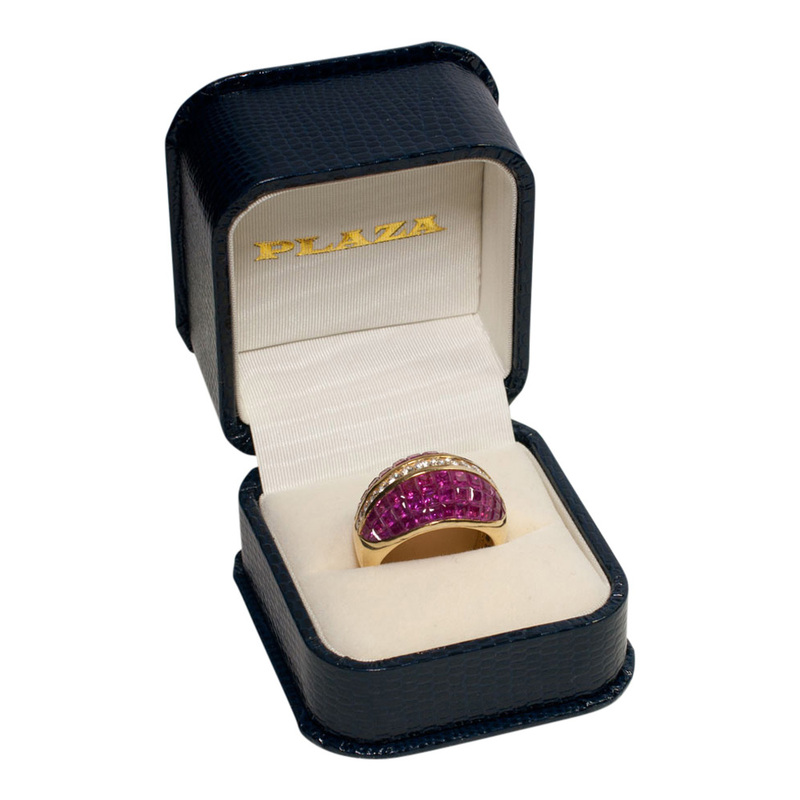 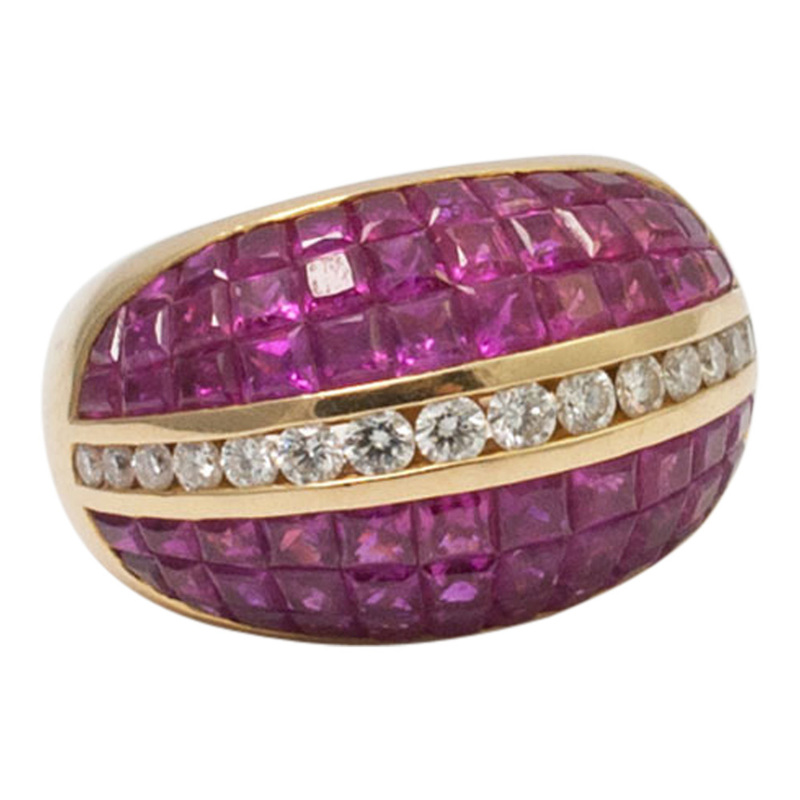 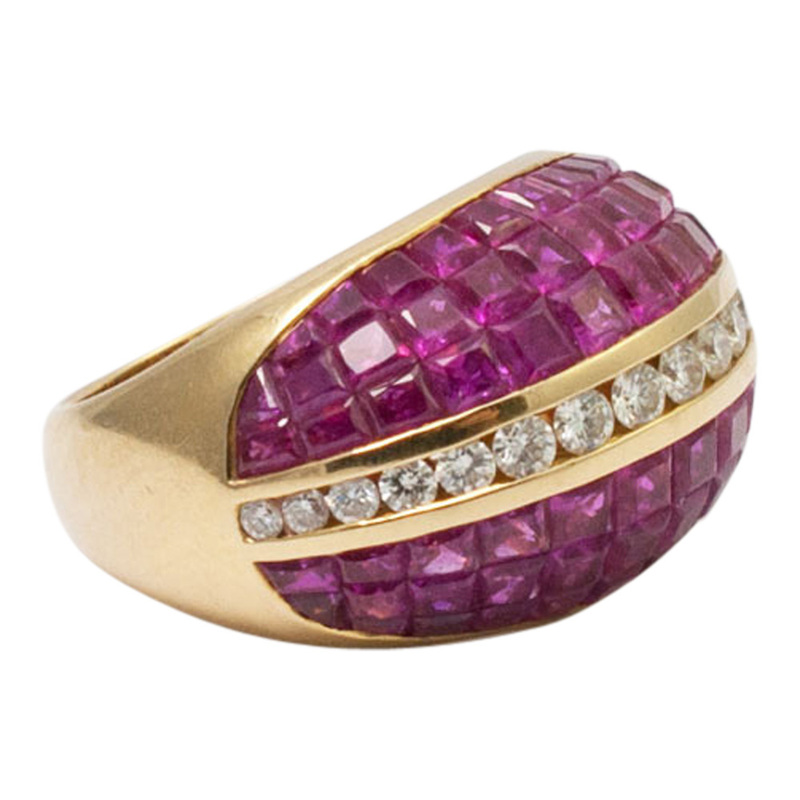 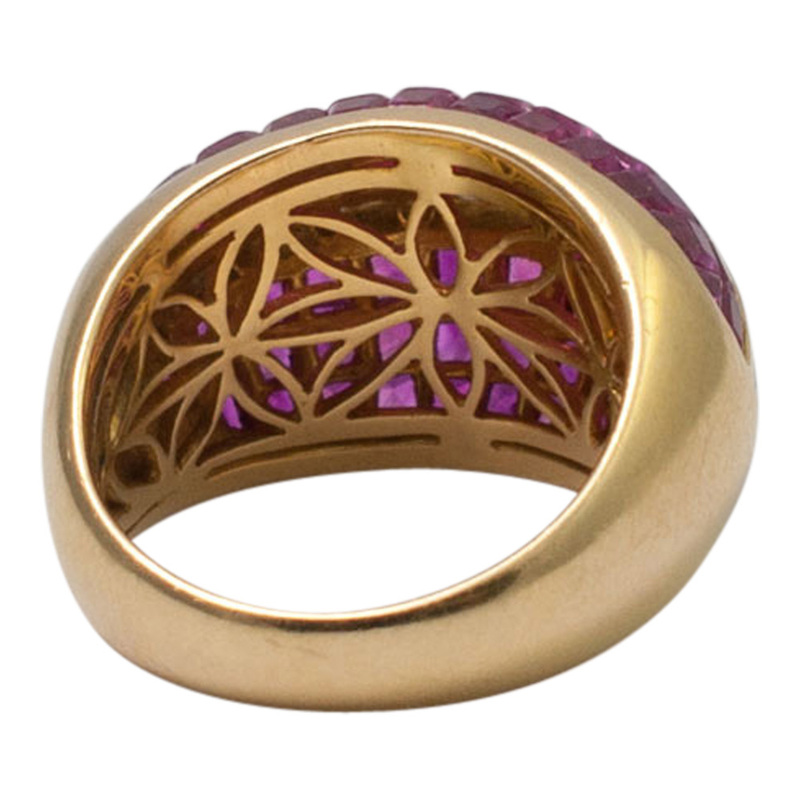 It is in excellent condition and has been beautifully made with perfectly matched purplish red rubies. 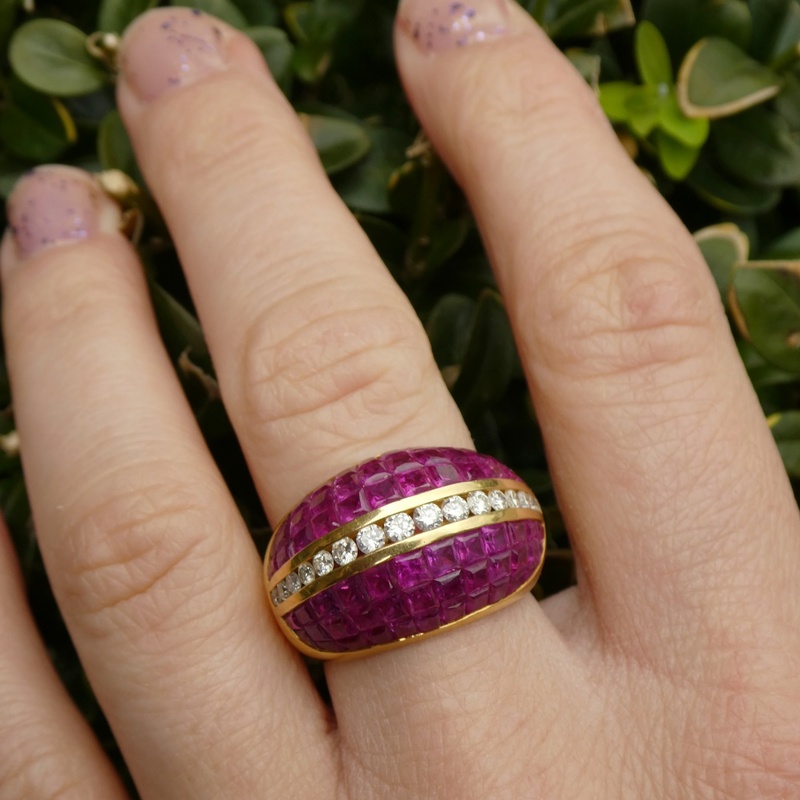 Finger size O (UK), 7.5 (US), 55.5 (EU).